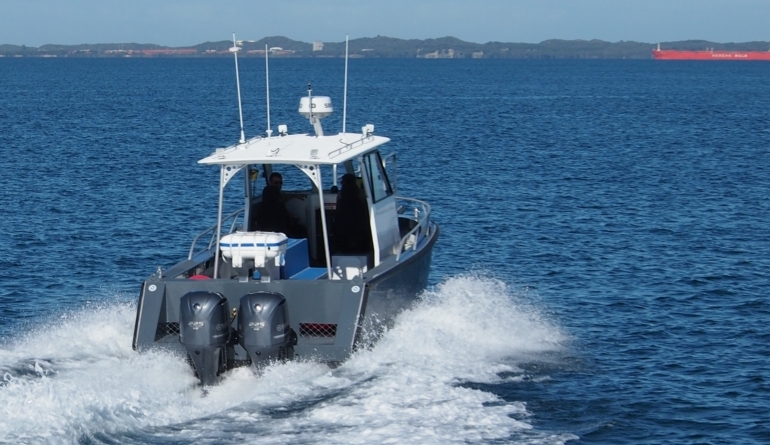 Commissioned for Mermaid Marine in Dampier, this 7.8m Air Rider sets the benchmark for compact, high speed crew transfer vessels. 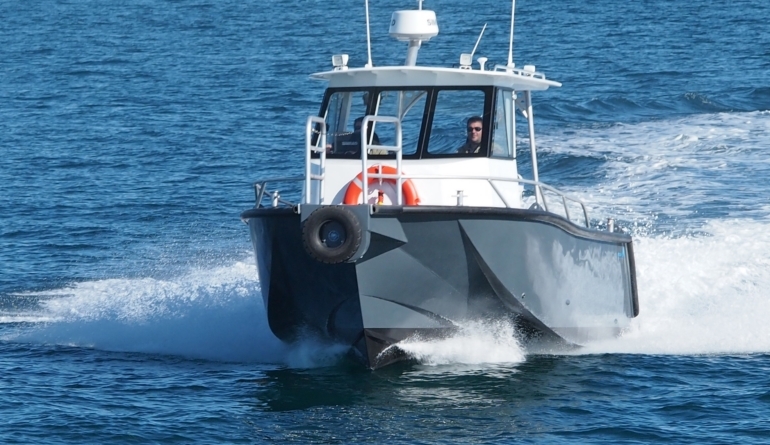 The “Mermaid Archer” carries 6 passengers and 2 crew in comfort at up to 42 knots in Global Marine Designs most dynamically stable hull to date. 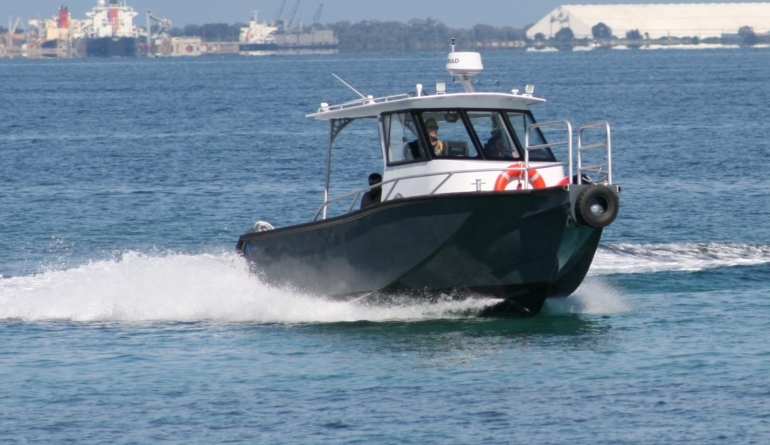 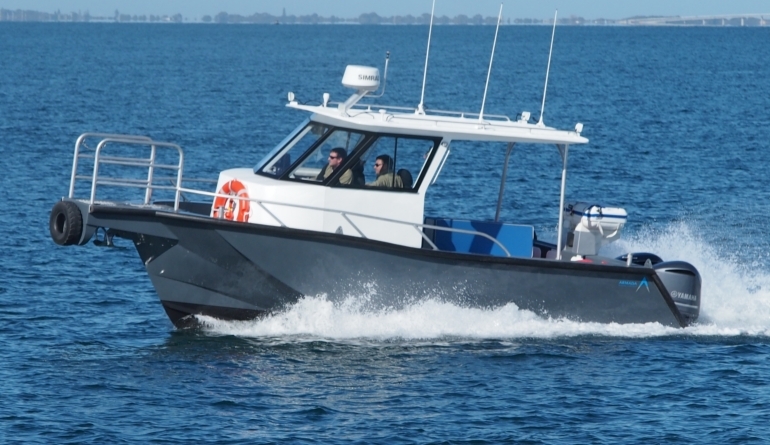 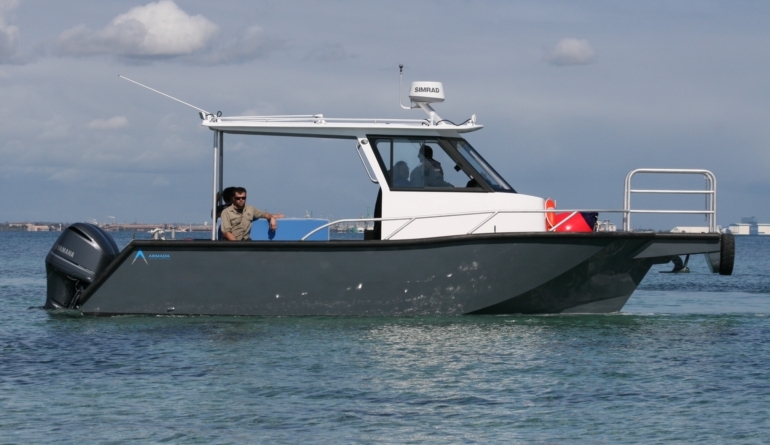 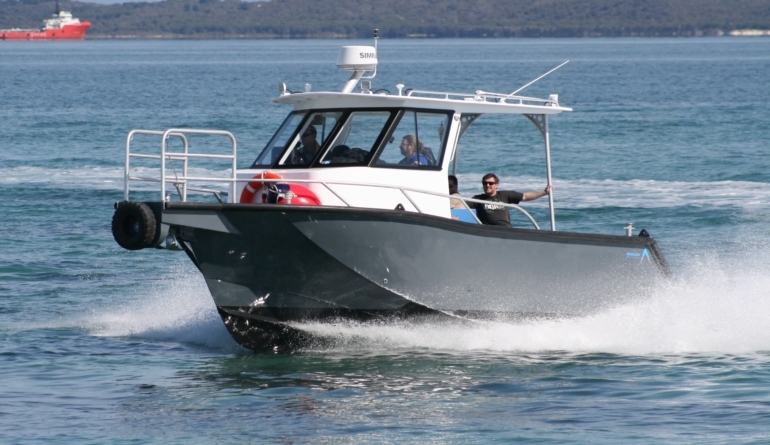 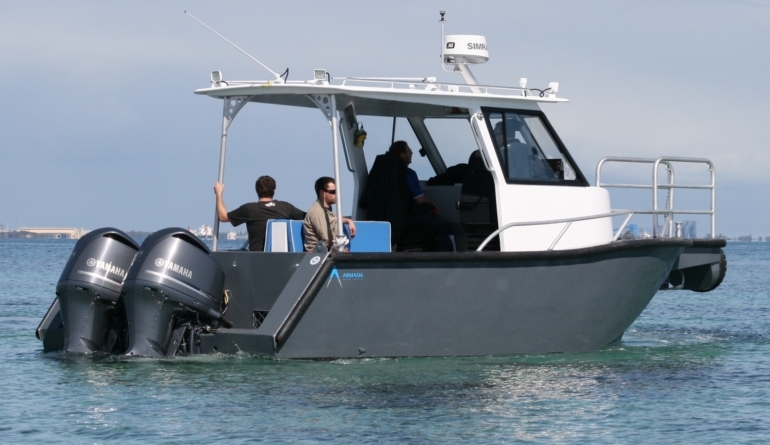 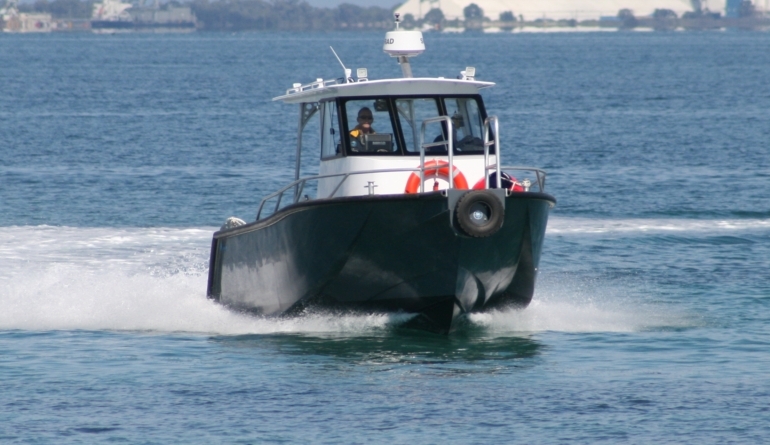 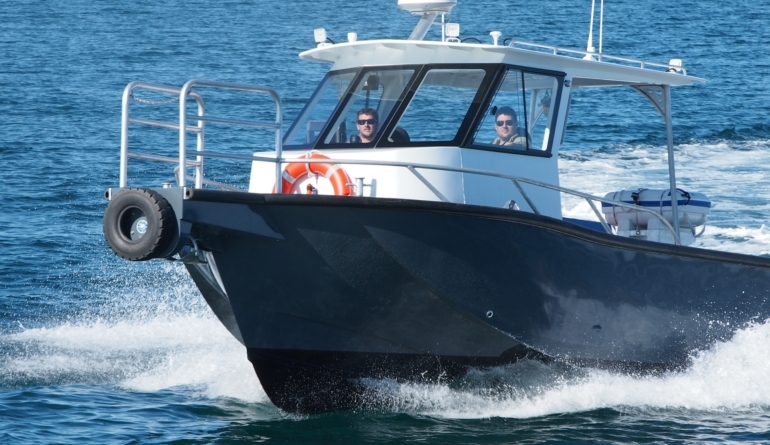 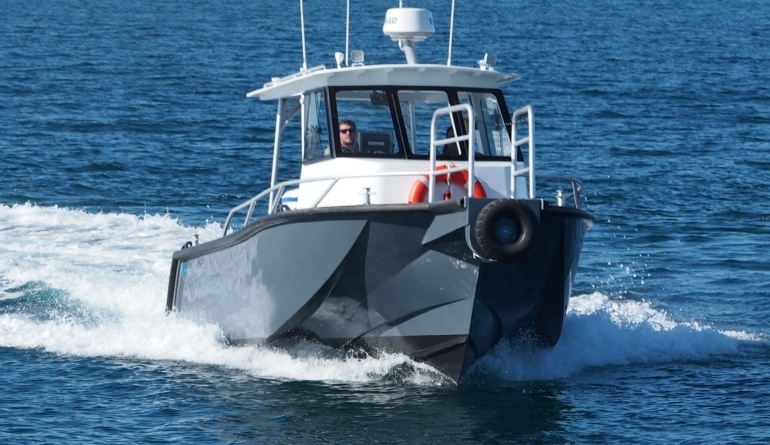 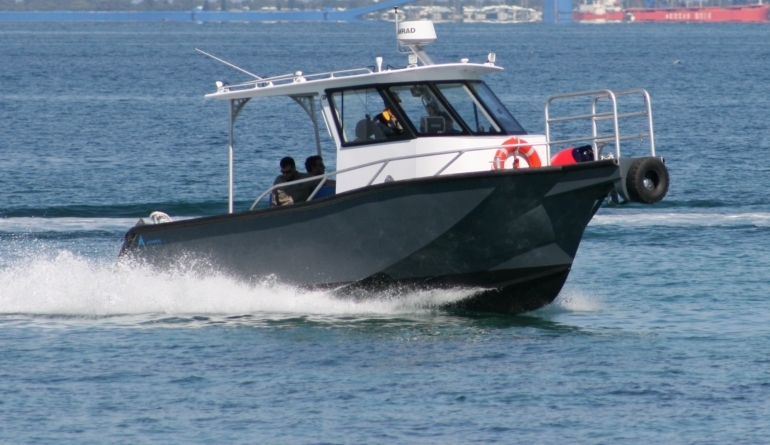 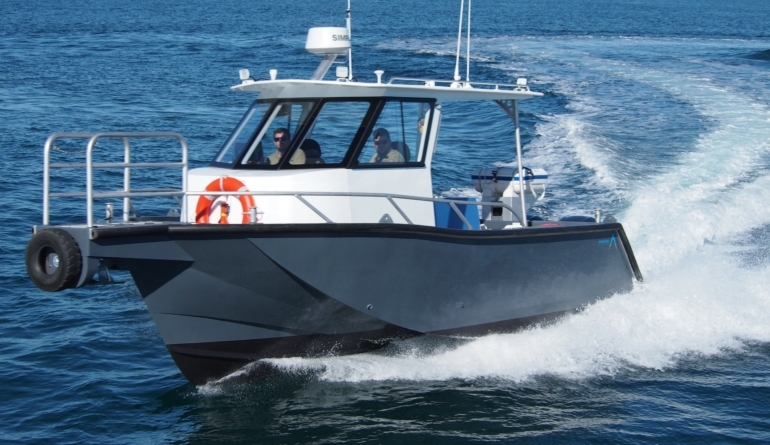 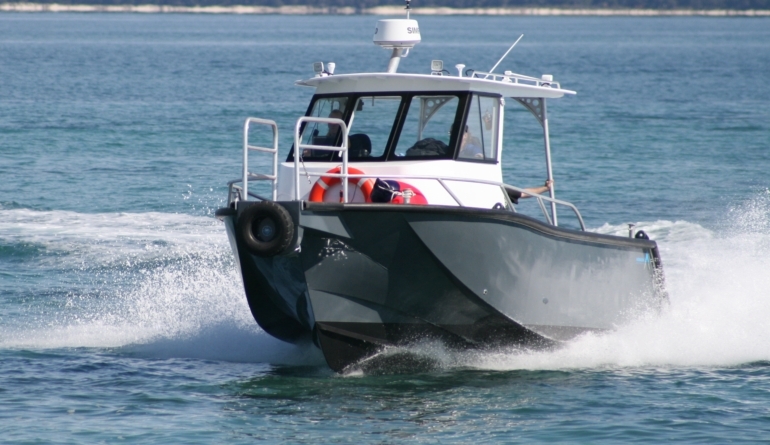 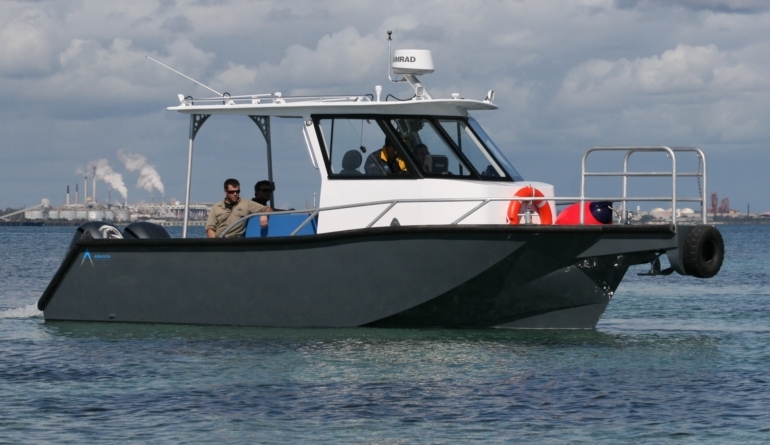 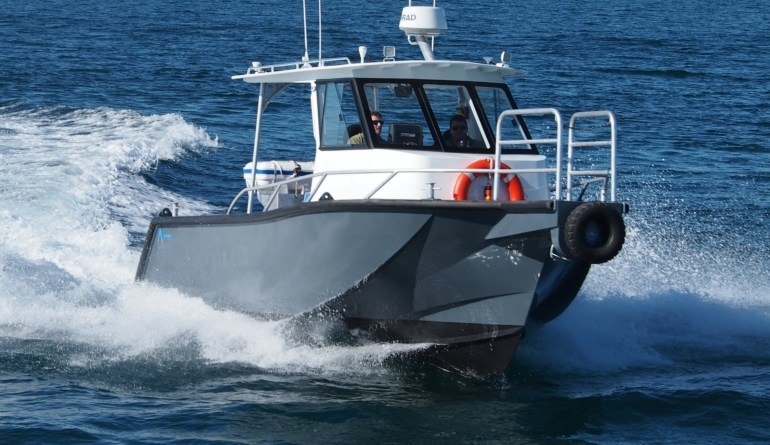 The stepped deck and full walk around island cab also make this vessel well suited to patrol duties or serious offshore fishing.